Before my wedding I was reluctant to try any new skincare. My skin was in a good place and adding any new products was just too risky. So after the wedding fun had come to an end, I decided to invest in a few products from The Ordinary. 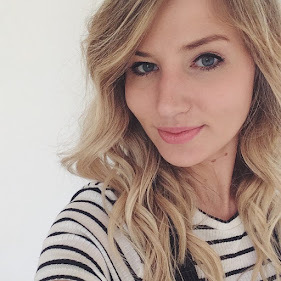 The Ordinary is a brand which I've noticed gaining popularity over the next few months and it was also recommended to me by a friend (hi Suz!) who had tried the hyaluronic acid and said it was amazing. The Ordinary is a brand which has come from DECIEM, an umbrella of brands who focus on advanced functional beauty. Their products aren't beautiful (although I personally love the packaging) and are focused on doing the best job for your skin. Their website is full of information and has really useful guides as to when to use the products. And the best thing about them is that their products are so reasonably priced with most retailing around the £6 mark. Some websites are selling out of the stock quick so it seems to be a game of getting lucky with when you go online shopping - I bought two products from Victoria Health and two from ASOS. Most products look like the four bottles in the photo, with a pipette dropper to release the product. This works for some of the products like the serum and hyularonic acid as they are quite thick products, but doesn't work as well for the rosehip oil and the face mask as it can end up running everywhere if you're not careful! The Ordinary Buffet Serum - this is a serum which can be applied in the morning and evening, and aims to target multiple signs of ageing. It's a more expensive product with it being a serum, and retails at around £12 - so still very reasonable. I love how soft this leaves my skin - I can feel a noticeable difference. 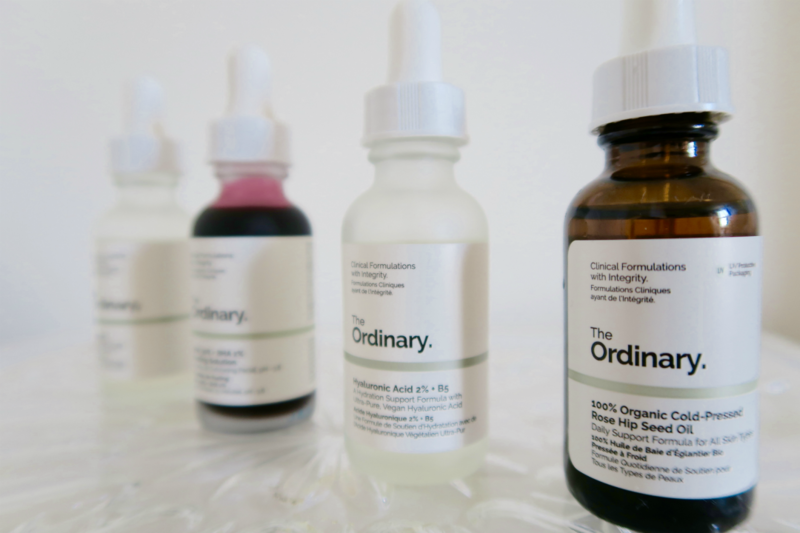 The Ordinary Hyaluronic Acid - I haven't tried a hyaluronic acid before, but the benefits are fantastic. It sounds like a skin-stripping product but is actually the opposite as hyaluronic acid keeps your skin plump and hydrated. The HA is quite a gloopy consistency and to me, feels like it sits on the skin rather than being absorbed. I have been using it morning and night and feel like my skin is definitely more plump. The Ordinary Cold-Pressed Rosehip Seed Oil - this was one of the first products that I added to my basket as rosehip oil is notoriously good at fading acne scars. I find that a spot will take weeks to go and often leaves a red mark so have been keen to see if it works. I've been applying this before bed. The Ordinary AHA 30% and BHA 2% Peeling Solution - At £6.50 for a peeling AHA mask, I couldn't say no to this. It's a raspberry red colour (which looks slightly alarming when applied, Chris physically jumped when he saw me) and you apply a very skin layer all over your face and neck. I found that it stung quite a bit initially, but then calmed down. You leave it on for no longer than ten minutes and then rinse. The effects are instant - my skin felt so bright and smooth. Love a peel! So these are the products I've tried so far and I just love how simple and affordable they are. Please let me know if you recommend any others as am keen to try more!